First and foremost, we have ample amounts of Scripture as well as historic and even modern day evidence that the Popes of Rome are not Christians and the religion called Roman Catholicism is not a Christian religion. In fact, according to every Bible on the planet they are defined as a cult. So for the article to claim "this is the very first time a Christian organization has classed euthanasia as ordinary medical practice" is no different than Westboro Baptists who use hate to spread their version of Christianity. Satan knows what he's doing here when he uses the most wicked church leaders to declare themselves Christian so as to assure Christianity gets a very bad name. In so doing this moves many into seeking their spiritual fulfillments in his many other demonic religions. And no, I am not saying the Roman Catholic people are evil. The Lord winks at their ignorance just as much as He does ours. 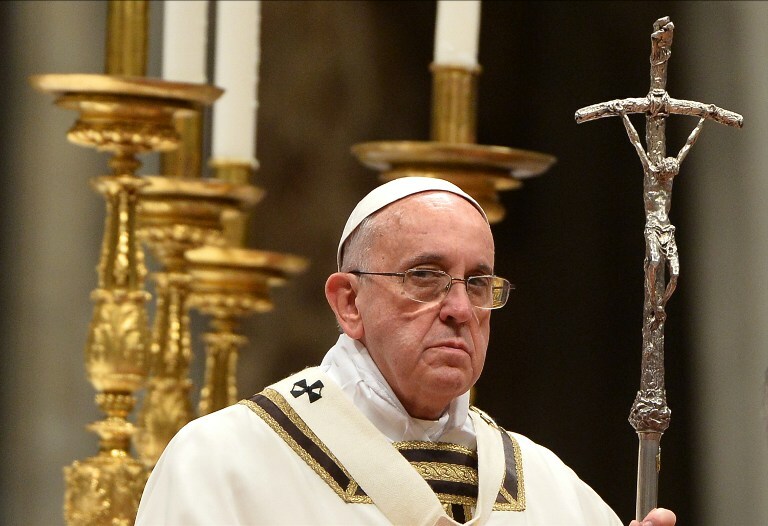 The majority of Catholics have no clue their Vatican prelates are devil worshipers who have been prophesied to be those that try to destroy Christianity by claiming to be Christians while declaring Pagan dogma to be that of the Lord Jesus Christ. The fact this Jesuit Pope gave them till "the end of August" confirms he doesn't care that much about those "the Brothers of Charity" in Belgium are murdering in their hospitals. If you read the original article linked out in this one you will find they have been killing the mentally ill since May in all 15 of their hospitals. One can only imagine how many have been murdered! Truth is, if the Pope really cared about these poor souls being slated off the hellfire for helping them break Commandment #6 as their last sin he would have demanded they must stop killing them IMMEDIATELY. But he gave them till the 18th to do so. Why on earth did he do that?! By the way, notice this. Whenever the reality of Roman Catholicism's true origin is outed by displaying very evil fruits that can harm the agenda of Rome, they brush it under the rug and do all they can to hide it by spinning the truth into a lie. Need I mention the countless child molestation scandals? But when their awful fruits can be used to make Christianity look bad while at the same time cause no harm to the Vatican in a legal manner, they go public with it. What I mean is, this article is just another way Satan can depict Christians as evil by getting his man of sin in Rome to openly out his so called "Christian charity" in Belgium as just another Christian organization doing things that are very unChristlike. This is no different than the Westboro Baptists with their signs "thanking God for dead soldiers" outside the funerals of the dead soldier's family. As long as you claim to be Christian while embracing Satan's characteristics, then the enemy of souls can use you and remains very happy being the smoldering bird falling into damnation as he is. Please continue to pray for the Catholic people as well as all the other so called Christian religions that have bowed to Rome as their leader in Christendom. And yes this includes the Seventh Day Adventist. And please, if you're SDA don't take any of what I say as an insult, slander or as bearing false witness. I implore you to look at the data I compiled at www.SDAapostasy.org wherein we have documented proof that the SDA church is in bed with Rome, the one world church, and are doing things before all the world that are very unChristlike. There is no sin in me doing my duty as a Christian. (See Ephesians 5:11) I truly do love you enough to tell you the truth. And just so you know, for the SDA people that refuse to look into this but at the same time declare those that are trying to warn them as being evil, you are in sin for bearing false witness because we not only have historic and documented evidence to back it all up, we have God's Word on this. I was unable to do the Wednesday blog entry because I was downstate attending the 2017 SDR Campmeeting that was an amazing blessing! The Lord's hand moved in amazing ways AND we got some very shocking bad news about the Noah's ark Museum in Kentucky. In short, it is not a Christian organization by any means. All sorts of Vatican dogma throughout, Egyptian music is piped in absolutely everywhere, references to 666 throughout and Bill Gates himself actually funded it which confirmed it is not what you think. They even have a display promoting the Vatican's climate change agenda in it! If I can find time to compile my notes and some info the brethren shared with me that visited the "Ark Encounter" I plan to make a video and a webpage about it to warn Christians families to steer clear.